Welcome to the 2019 National Pre-Departure Orientation [NPDO]! NPDO gathers soon-to-be exchange students from all over the United States and provides information about how to make the most of the exchange experience. Attendance to this orientation is a mandatory part of the exchange program for all students accepted to our 2018 semester- and year-long programs [including Congress-Bundestag Youth Exchange students]. This year, NPDO will take place on the campus of North Central College [NCC] in Naperville, Illinois. It will begin on Friday, July 12th and end on Sunday, July 14th. Non-CBYX students: must arrive to NCC’s campus between 1 and 3pm CST on July 12 and can leave the campus after 1pm CST on July 14. CBYX students: must arrive by 1:00 PM CST on Friday, July 12 and will leave campus after 1:00 PM on Sunday, July 14. Parent Session: For parents driving their students to the orientation, a parent session will take place in New Hall from 2:00-3:30 PM on Friday, July 12. Please note that NPDO is for students only. The parent session is optional, and is just for parents who happened to drive their students to the orientation. Parents do not stay overnight. For more information, please check out our NCC Map which highlights the buildings that will be used for NPDO. NOTE: If you are driving, please make sure you are using the directions to NCC's Residence Hall/Recreation Center at 440 S. Brainard St. Do NOT go to 30 N. Brainard St. as this is the Visitors' Center on the main campus. 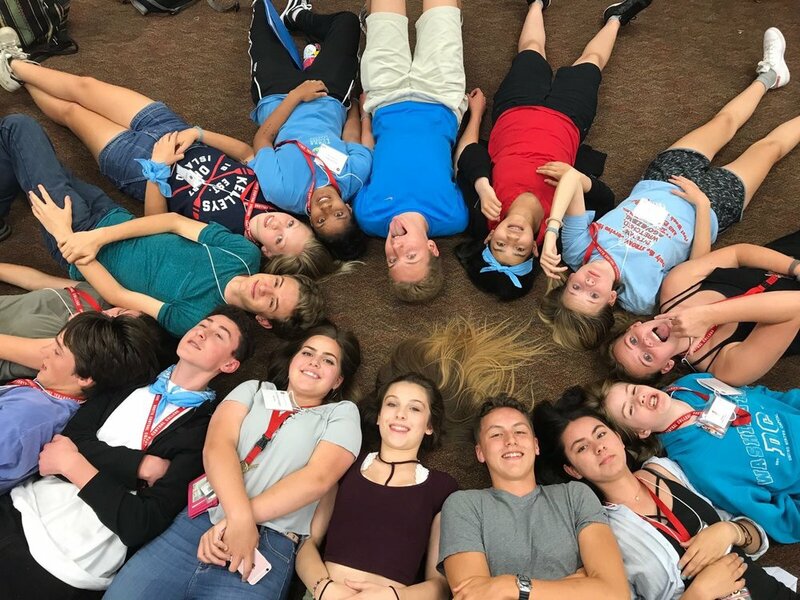 Your program tuition covers all of the fees and expenses for NPDO, except for Congress-Bundestag Youth Exchange [CBYX] students. CBYX students need to cover their own travel expenses. For non-CBYX students, YFU will pay for your travel, lodging, and food during the orientation. Our YFU Travel Department will arrange flights for students traveling from far away. For those of you taking public transportation or driving from within approximately 300 miles, YFU will reimburse you. Reimbursement covers the cost of travel to and from the orientation, and YFU reimburses mileage at $0.20 per mile. Parents will NOT be reimbursed for any additional travel while in the Chicago area. CBYX students must pay the cost of their travel to North Central College. CBYX students are expected to attend. If you anticipate it will be difficult for you to attend due to financial reasons, please indicate this on the CBYX Registration Form. How Do I Get To NPDO? Driving: Please make sure you drive to NCC's Residence Hall/Recreation Center at 440 S. Brainard St. If driving yourself, there is a parking lot next to the center where you can park for free. Metra: The Naperville Metra Station (BNSF commuter train) is two blocks north of campus; YFU will make arrangements to pick you up once you arrive. Amtrak: Amtrak is a cost-effective option for those who live three to four hours from Chicago. Students will arrive at Union Station in downtown Chicago and then transfer to the Metra commuter train in Ogilvie Station to get to NCC’s campus. If you choose to take the train, plan to arrive in Chicago by 11:00 AM (for CBYX students) or by noon (for non-CBYX students) to give yourself time to commute to Naperville for the start of the orientation. If arriving at this time, a YFU orientation staff member will be at Union Station to help you and other students make the transfer to the commuter rail line. On July 14, please choose a train that departs at or after 2pm CST. Flying [for CBYX]: Please make your own flight arrangements to Chicago O’Hare International Airport (ORD) arriving by 11:00 AM on July 12. Ground transportation will be provided upon arrival. The return flights can depart at or after 4pm on Sunday, July 14 from O’Hare. If you will be flying to NPDO, you must book a flight that lands by 11:00 AM on Friday, July 12 and that departs after 4:00 PM on July 14. You must fly in and out of ORD. Do not book a flight that does not meet these requirements. If you have travel questions or cannot find a flight within this time range, contact Erin Campbell at ecampbell@yfu.org. Flying [for non-CBYX]: YFU Travel will be taking care of your flight arrangements. NPDO is an informative, fun-filled orientation, and it is also your introduction into your life-long YFU family. Expect to have a busy weekend on NCC’s campus! The entire NPDO staff is looking forward to meeting you and helping you prepare for the amazing study abroad experience ahead of you! Register now using the buttons below!